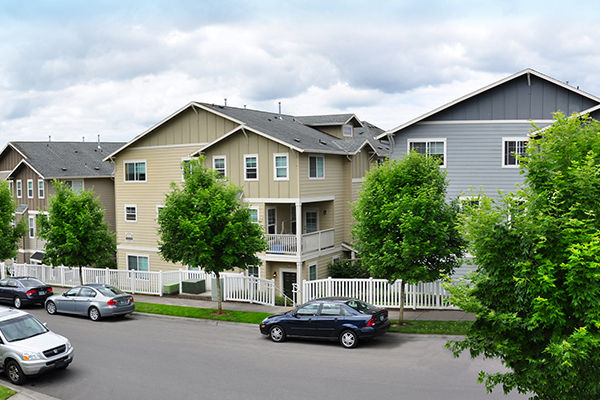 Westview Heights is a two-phase development located adjacent to Portland's urban growth boundary. All of the units are townhome-style construction with attached garages. The floor plans are primarily three- and four-bedrooms, which creates a large average unit size. The property has minimal common area amenities. While Westview Heights would be considered an institutional property due to its size and location, the property's common area amenities are more limited than a typical apartment complex of its size. The townhome units and attached garage construction demanded a unique buyer with foresight towards non-traditional exit strategies. HFO used its relationships with national and Portland-based institutional owners to guide interested parties toward a comprehensive understanding of this unusual asset's potential.